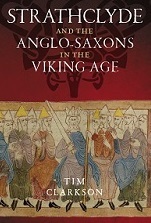 Like my previous books, Strathclyde and the Anglo-Saxons in the Viking Age has a chronological structure which guides the reader along a timeline. In this case, the chronology runs from c.750 to c.1150, with special attention being given to a 200-year period between 870 and 1070 – the ‘lifespan’ of the kingdom of Strathclyde. In the first chapter of The Picts: a history, I stated that the narrative was structured around a medieval list of Pictish kings in which each is named in chronological order, with reign-lengths conveniently added by the compiler. No such list is available for Strathclyde, nor has the kingdom bequeathed a chronicle or set of annals that might otherwise have provided the framework for a linear chronology. The sequence of royal succession in Strathclyde is, in fact, difficult to reconstruct with any measure of completeness. This does not mean that the task of reconstruction should be dismissed as a pointless exercise. It simply means that the resulting sequence is punctuated by gaps where the line of succession is uncertain, or by a question mark where the name of a king is unknown. Two landmark studies tackled these difficulties head-on. 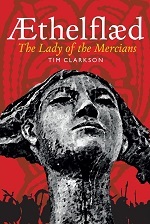 In 1993, Alan Macquarrie listed all the known kings of the Clyde Britons from the fifth century to the eleventh, giving brief biographies in those cases where reliable information can be gleaned from the sources. His task for the early part of this period was made somewhat easier by the survival of a royal genealogy for the kingdom of Alt Clut, the precursor of Strathclyde, which was ruled from an ancient fortress at Dumbarton. Although the Alt Clut genealogy gave no dates, Macquarrie found chronological information in other sources and was able to reconstruct a fairly complete king-list. This ends in the late ninth century with Artgal, the last king, who witnessed Dumbarton’s destruction by a Viking army in 870. The original genealogy ends with Artgal’s son Rhun (pronounced ‘Rhin’) who is usually seen as the first king of Strathclyde, the successor realm established in the strath or lower valley of the river. In the absence of a genealogy for Rhun’s descendants, Macquarrie collated fragments of information from a range of sources, such as the Irish annals, to continue the line of kings through the tenth century and beyond. He noted that the last king of Strathclyde named in any source is Owain the Bald who fought at the Battle of Carham in 1018. Macquarrie’s study was cited by Dauvit Broun in an equally groundbreaking article published in 2004. Broun showed the sequence of kings from 870 onwards in table form, like a family tree, with question marks indicating gaps and uncertainties. Four years ago, I used Broun’s table as the basis for my own version which appeared in The Men of the North. More recently, I’ve used the same format in Strathclyde and the Anglo-Saxons in the Viking Age. In both books, the table has been tweaked and polished by a professional designer who makes everything look neat and tidy. The image below is a working copy from my files. This entry was posted in Kings & queens, Research and tagged Alt Clut, Strathclyde on October 7, 2014 by Tim. Hi Tim – Congratulations on completing your book! Reading this post I was wondering could Govan have been originally named after ‘Owain’ King of Strathclyde – sounds very similar !? Cheers Tom! It’s an interesting point about the similarity of the names, especially when the earliest recorded form of the name Govan is Ovania (pronounced ‘Owania’) in a chronicle from c.800 AD. The consensus among place-name experts is that the name derives from Cumbric go+ban (‘little hill’ or ‘hillock’), i.e. the Doomster Hill, which supports the theory that the mound goes back a lot further than Viking times. Soon I’ll need to get in touch with you about your copy of the book, which is currently at the printers. Next couple of weeks, hopefully.